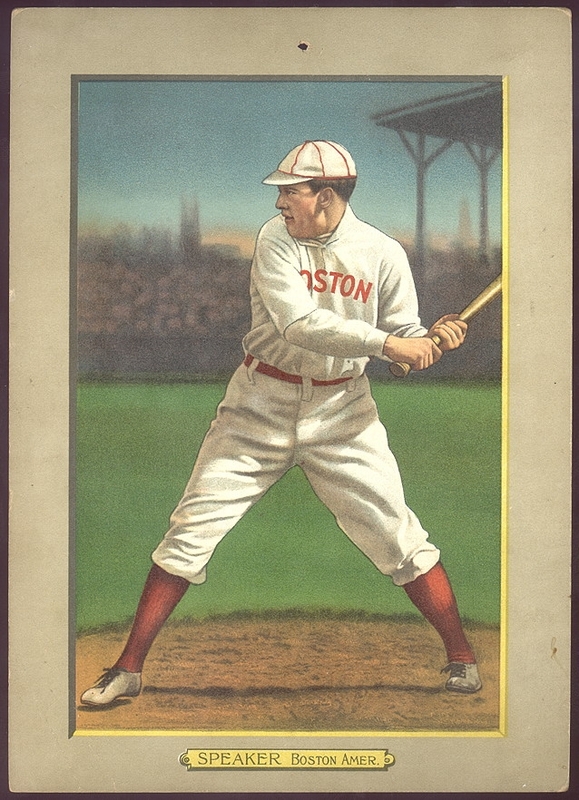 The 1911 Turkey Red T3 Cabinets are some of the most popular Pre-War cards ever printed. The Turkey Red set consists of 126 cabinets that measure 5¾” by 8”. 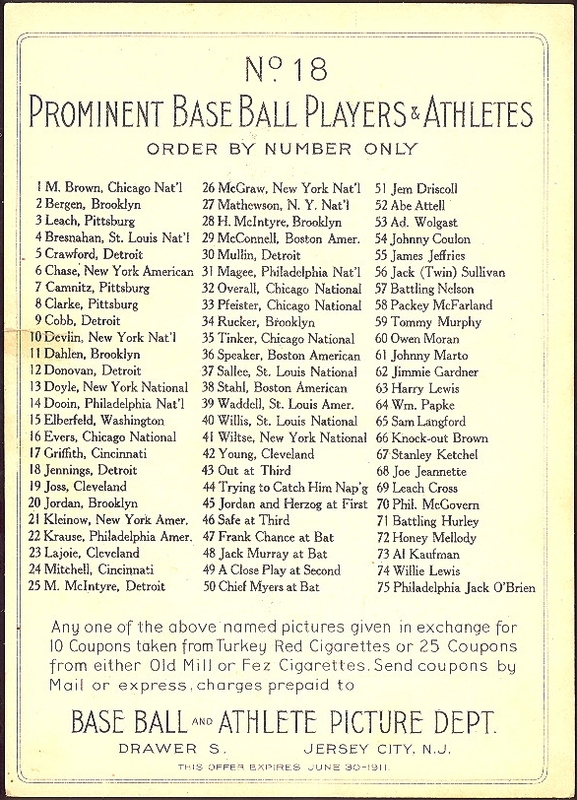 Card #1-50 and #77-126 are baseball players, while cards #51-76 are boxers. Each card has a checklist or advertisement for Turkey Red tobacco on the back. The checklist varies depending on where the card was printed in the set. For example, card #10 will have the checklist for cards #1-76, not the entire set, on the back. Unlike other T-cards at the time, these were not inserted into packages of cigarettes or loose tobacco. T3 cards are often referred to as “premiums” meaning that they could be redeemed by sending in coupons from participating tobacco brands. The Turkey Red cards could be redeemed by sending in 10 coupons from Turkey Red cigarettes, 25 coupons from Old Mill cigarettes, or 25 coupons from Fez cigarettes. Turkey Red cigarettes were manufactured by the American Tobacco Company, which made many of the tobacco cards in the early part of the 20th century. The name Turkey Red may have come from a red dye that was found in southwest Asia. Turkish cigarettes would continue to be popular all the way through World War I. The Turkey Red Cabinets set also includes action shots. Many of the cards have names similar to the Hassan Triple Folders, which were produced a year after the Turkey Red cards. However, the players in the Turkey Red action shots are not individually identified. The Turkey Red Cabinets are some of the most popular reprints that DeansCards.com has in stock. Because the cards are particularly hard to find, the reprint set is a cheaper and easier set to build. The Turkey Red cards include a number of Hall-of-Famers and stars, which make the set even more desirable. Ty Cobb, Christy Mathewson, Walter Johnson, Cy Young, and Tris Speaker, who appears in significantly fewer baseball card sets than many other early baseball players, are all featured in the Turkey Red set. Turkey Red Cabinets can be very difficult to collect and find. Here at DeansCards.com, we are always buying Turkey Red and all other Pre-War cards. For information on selling your collection, please click here. 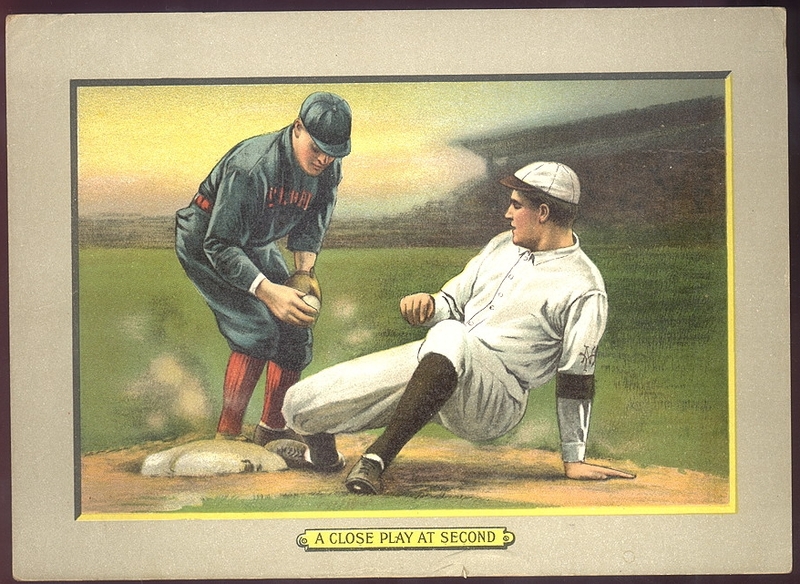 To see our selection of Pre-War baseball cards, please click here. To view our current inventory of Turkey Red reprints, please click here.